Mozart�s majestic Magic Flute overture is a perfect foil for the quirky Rondo alla Turca. 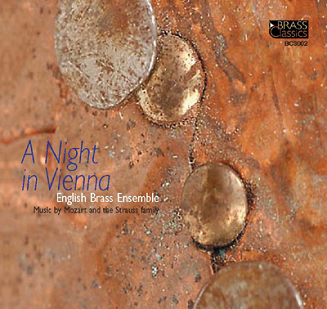 These pieces, along with the superbly delicate Concert Rondo, the German Dances and Eine Kleine Nachtmusik, give a flavour of the refined Vienna of the eighteenth century. Strauss' Die Fledermaus overture, a tour de force for the Ensemble, is complimented by the finesse and grace of Tales From The Vienna Woods. A terrifyingly tumultuous rendition of the Thunder and Lightening Polka, followed by the famous Radetzky March, completes the picture of nineteenth century Viennese musical life.